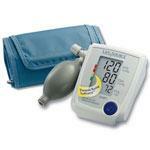 Blood pressure is essential information when gathering diagnostic data for a person's health. 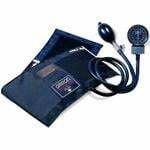 This is done through the use of high blood pressure monitoring devices, also know as Home BP Monitors, and sphygmomanometers, which all measure the diastolic and systolic pressure of the heart pumping and filling with blood. 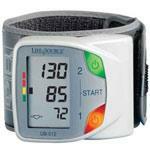 Many of these home blood pressure monitors are offered through Vitality Medical and have unique features. Some professional blood pressure monitors will be able to store data and have special features to alert the user of reading that could lead to danger. Vitality Medical offers these diagnostic products that measure blood pressure as a valuable resource for maintaining cardiovascular health. Digital Blood Pressure Monitors: They measure blood pressure by automatically tightening the arm band and taking pressure readings. Wrist Blood Pressure Monitors: They measure the blood pressure automatically by tightening the wrist cuffs and sensing the pressure of the diastolic and systolic pressure. 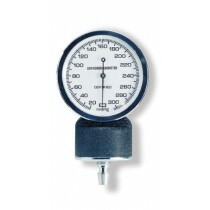 Aneroid Sphygmomanometer: This is a manual blood pressure measuring device with cuff and pump and require some know-how reading the pressure dial. 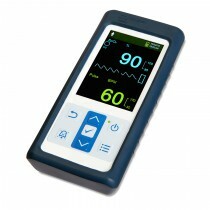 They are highly accurate and preferred in most medical settings.